A practical podcast on the business of healthcare w/ hosts Don Lee and Shahid Shah. The premise behind #HCBiz is that we can't "just innovate". Sure, you may have a great idea, an all-star team and execute flawlessly, but if you don't understand the complex dynamics of the healthcare business you'll never get traction. We'll identify the issues that impede change, explain why they exist and find ways to work with them, through them, or around them. In short, we'll help you create space for innovation in healthcare through technology (HealthIT/HIT) and workflow. We'll also explore health policy, administration and the psychology behind it all. Finally, we help you align your ideas to business incentives, market them to healthcare leaders and get the sale. 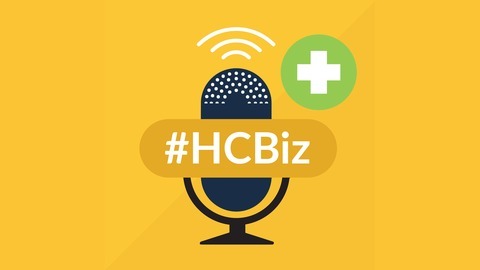 Check out all our podcasts, videos and blog posts here: http://thehcbiz.com/ Get our weekly newsletter: http://bit.ly/HCBizSignup Produced by Glide Health IT LLC in partnership with Netspective Media. On this episode, we discuss the power of online communities like #HCLDR, a new push for healthcare interoperability in Canada called Access 2022, and much more. Our guest is Colin Hung, CMO and editor at HealthcareScene.com, and founder of #HCLDR. #HCLDR is a weekly tweet chat (Tuesday’s at 8:30 PM EST) that has been going strong for 7 years. It attracts an international audience of 150-200 people who generate 1,500-3,000 tweets and up to 12 million impressions. This community, plus others like #HITsm were a huge influence on my path in healthcare and Health IT. 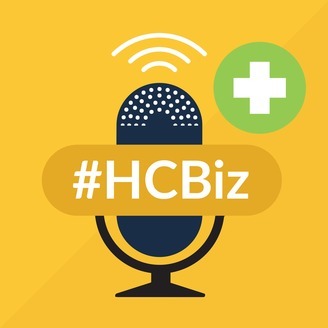 In fact, The #HCBiz Show! started as the #HCBiz tweet chat. These communities provide a surprisingly effective way to network and learn new ideas, and they lead long term relationships. Ultimately, they took me to Toronto for this interview. Canada has national healthcare… and still struggles with interoperability!?!? That’s right! Interoperability is not magically “fixed” in a single payer system. Canada, just like pretty much everyone else in the world, struggles to get healthcare data where it needs to be. I won’t get into that here, but you can hear all about why interop is challenging on last week’s episode – The Path to Healthcare Interoperability – or read about it here. This is why Canada Health Infoway (Infoway) launched the ACCESS 2022 movement. Infoway helps to improve the health of Canadians by working with partners to accelerate the development, adoption and effective use of digital health solutions across Canada. And Access 2022 provided the backdrop for this #HCBiz interview. I drove up to Toronto on the day Colin was being filmed to help raise awareness for the Access 2022 movement. You can see the product of that in the video below – and you can even see this podcast being recorded around 1:33. I know… meta. Colin and I also discuss the Healthcare and IT Marketing Conference or HITMC (happening right now in Boston!) and the Health IT Expo (July 31-Aug 2 also in Boston). I’ll be headed to Boston for my first HITMC shortly after hitting publish on this post. Hit me up if you’re there! And I highly recommend you check out the HealthIT Expo coming up on July 31-August 2. It’s a practical conference that aims to send you home with actionable information – much like I always say on this show, things you can take home and put to work on Monday. Check out all of our coverage from last year’s Health IT Expo here. Colin Hung is an award-winning marketing executive with more than a decade of healthcare and Health IT experience. He co-founded one of the most popular healthcare chats on Twitter, #HCLDR and he has been recognized as one of the “Top 50 Healthcare IT Influencers”. He is an active member of #TheWalkingGallery, #pinksocks, #HealthITChicks and #HITMC. Colin writes and blogs frequently. His work has been featured in a number of publications including the Journal of the American College of Radiology and HospitalEMRandEHR.com. Colin holds an Engineering degree from the University of Waterloo. He is currently helping to build the HITMC Community and organize the new HealthIT Expo. His Twitter handle is: @Colin_Hung.